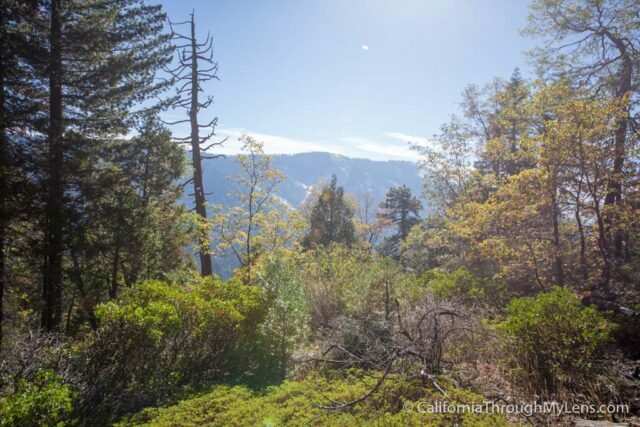 If you are looking for a slightly unknown but majestic hike in Sequoia National Park then I highly suggest you consider the Sugarbowl Loop in Redwood Canyon. 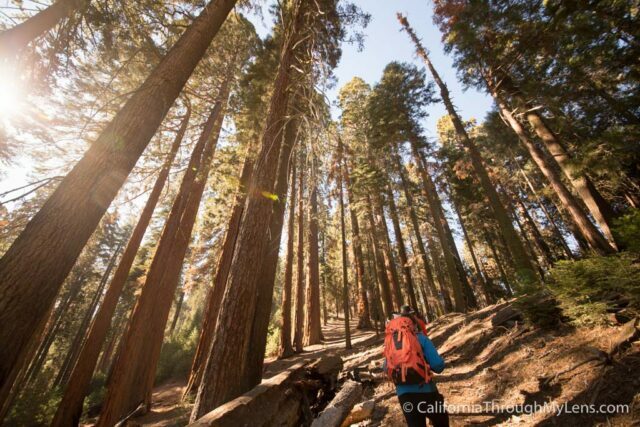 This 6 mile hike takes you through groves of sequoias and provides beautiful vistas for some of the parks best, easy to access views. Here is all the information if you want to do it yourself. After turning off at the sign for Redwood Canyon, you will proceed downhill for 2 miles on a mostly one lane dirt road. This road was passible by low clearance cars when I was there but I wouldn’t plan on that always being the case, especially during the winter, and it is best to check with a ranger before attempting. After getting to the bottom of the dirt road you will arrive at a decent sized parking lot and can start the two hikes available here, Sugarloaf Loop or the Hart Tree (which I didn’t do). The first mile or so of the hike is well shaded and has a gradual incline. You will be on this incline for most of the first half of this hike. 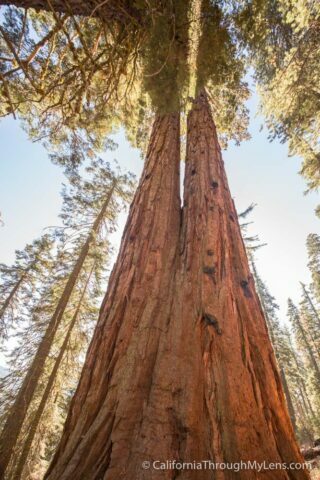 The hike passes by lots of beautiful and massive sequoia trees. This is especially fun because you can get up close to them and really check them out. 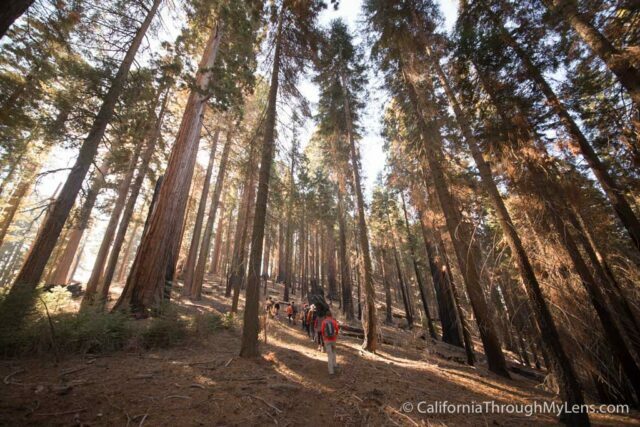 It also passes by a large section of burned trees from one of the fires a few years ago. 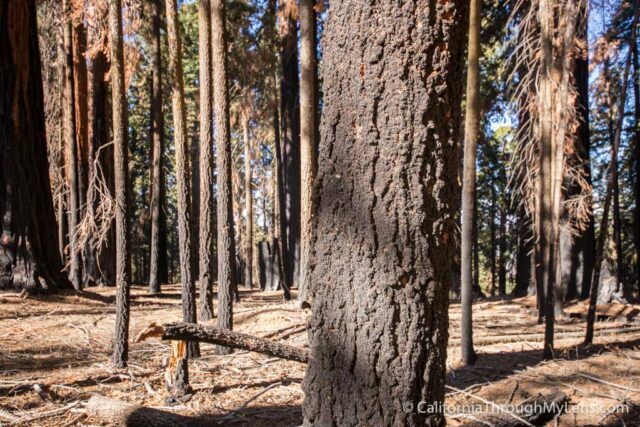 It is strange to see the trees covered in black but even more strange to see how big the fire was based on how high on the tree it burned. After about 2 miles there will be a break in the trees and you will see a majestic view to the left hand side of thousands of trees and large granite outcroppings. 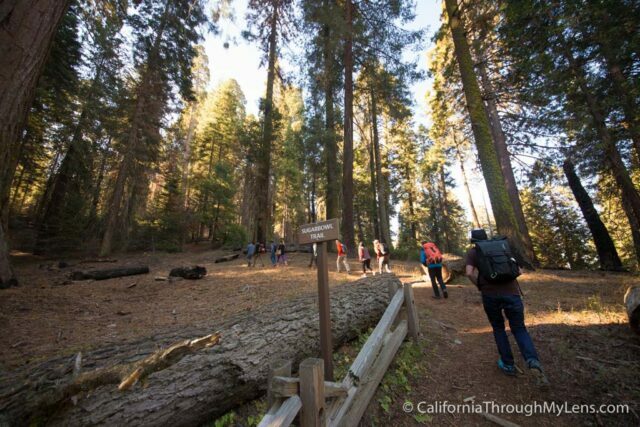 At the halfway point there is a large grove that you can relax by before starting the 1.5 miles of descent down into the canyon below. 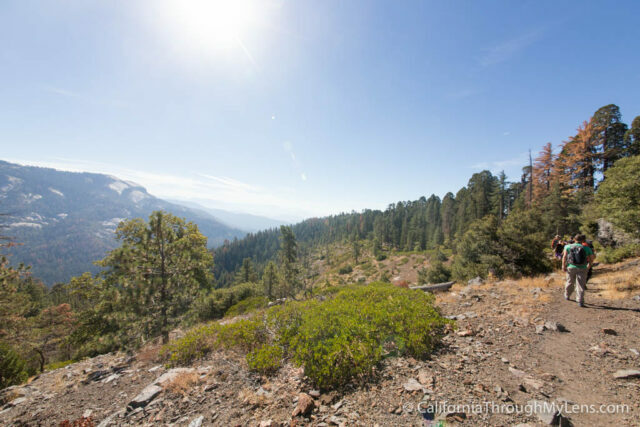 This hike follows a gradual uphill > large downhill > gradual uphill path. As you wind down you will be in and out of the shade and the views will start to get blocked. 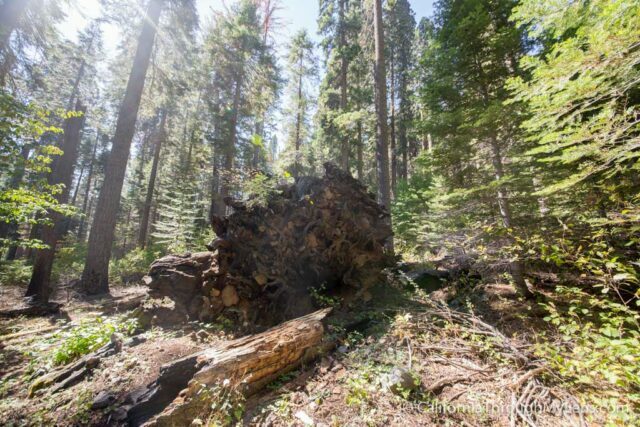 At the bottom you will even see a few fallen sequoias which are massive and impressive to see in real life. 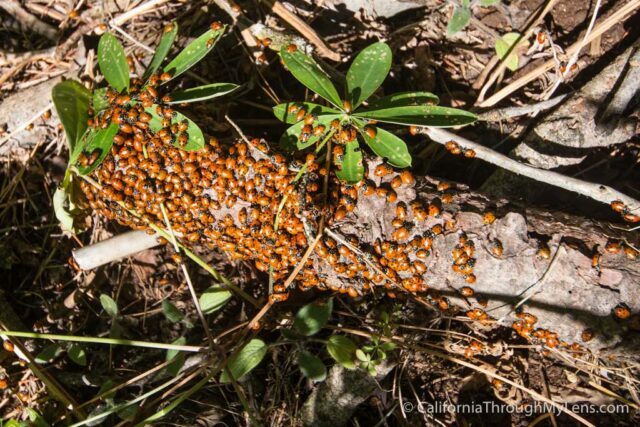 Be sure to pay attention to your surroundings as I saw a few deer on the trail and at one point I saw a huge collection of lady bugs. It helped me remember to keep my eyes peeled when hiking as I would have walked right by them and there were literally thousands. After the last part of uphill we finally made it back out of the canyon and into the parking lot. Overall, this is a hike that will get you sweating, but not one that would be impossible for most people. 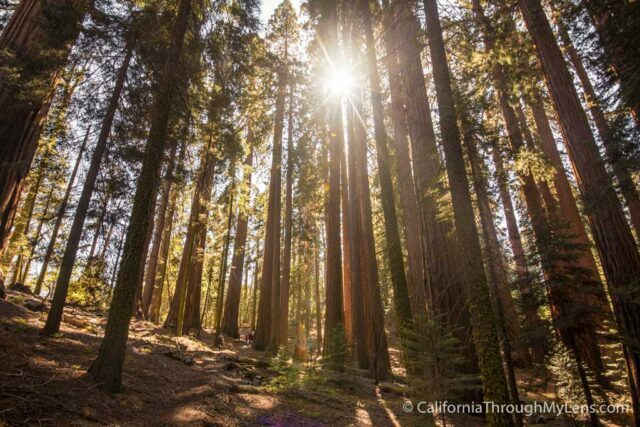 It is a great example of the beautiful nature that Sequoia National Park has to offer and I would love to hear your comments on it below.